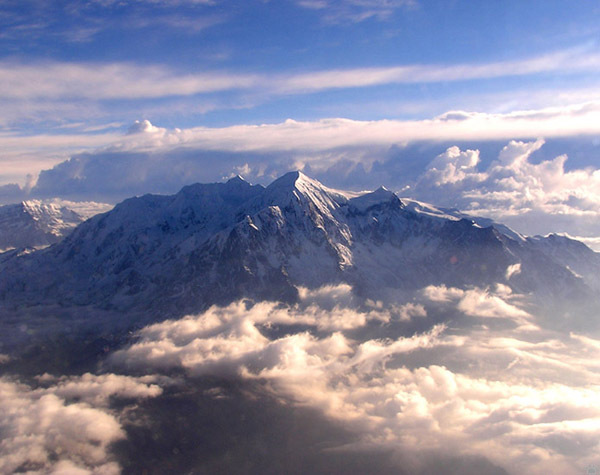 Illimani (6,438 metres/21,122'), the highest peak of Cordillera Real, Bolivia. Its name means "golden eagle" in Aymara. 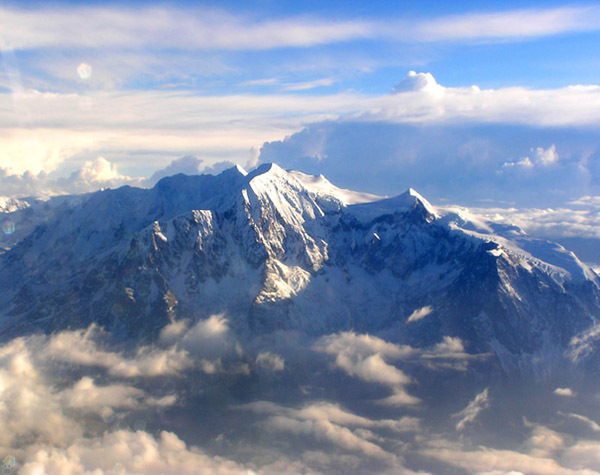 Being the World's longest mountain range, the Andes are also the most interesting one. Their astonishing natural diversity reaches its maximum in Peru, where the western slope is rising above the planet's driest desert, while the eastern slope is covered with rain- and cloud forests. If I was an extraterrestrial tourist and had to choose a place for a once-in-a-lifetime month-long vacation on Earth, I'd probably go to Peru. 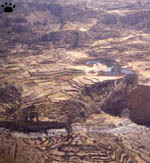 Pictures from Peruvian deserts and rainforests can be seen in other parts of this site; below are some leftover slides from the mountains in the middle. 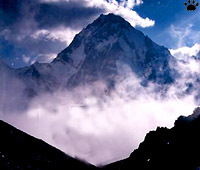 One of Cordillera Blanca peaks. 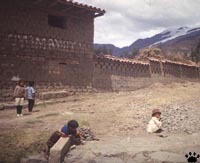 Sunday in a Quechua village near Cuzco. Each village has its own traditional hat style. Streets of Machu Picchu. Of many ancient cities scattered in the mountains of Peru, Machu Picchu is by far the most famous one. Others are less scenic, but also very interesting. 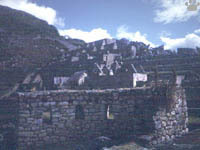 Residential area of Machu Picchu. Sacred sundial in Machu Picchu. Small town near Colca canyon. Cuzco, the former capital of Inca Empire, is probably the most charming city of the Western Hemisphere. 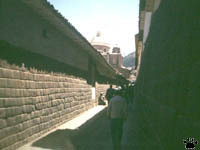 Its central part is a labyrinth of narrow streets, running in the shadow of old Spanish mansions and cathedrals, mostly built on Inca foundations. 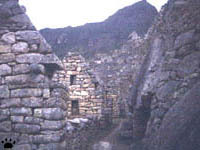 Inca masonry can be easily recognized by its unique style. 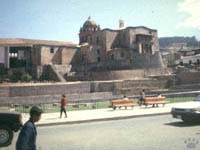 This cathedral was built atop Temple of Sun. Inca tombs on a mountain pass near Cuzco. former hub of Sendero Luminozo guerillas. Salt Lake at Peru-Bolivian border. 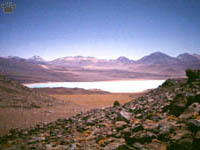 The inner part of Peruvian Andes is the high Altiplano plateau. It looks very much like Tibet. 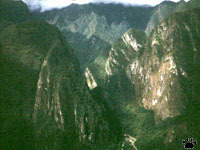 Just like in Tibet, mountain ridges around the plateau are sliced with very deep, narrow gorges. 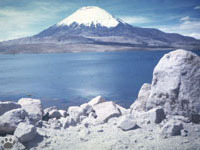 Lauca National Park at Peru-Chilean border. white spot at the bottom is a railroad station. colony of Andean condors (Vultur gryphus). 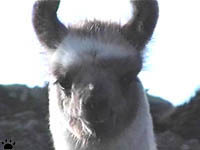 Llama, Cerros de Amotape, Peru. 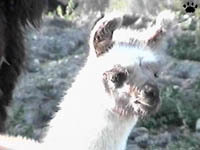 Llamas and alpacas are the most important domestic animals of the Altiplano. Llamas were also the only freight transport of Inca Empire - that's why ancient Inca roads have steps instead of switchbacks. Llama, Cerros de Amotape, Peru. 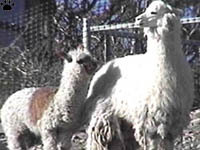 ancestor of llama (L. glama) and alpaca (L. paca). Argentina. 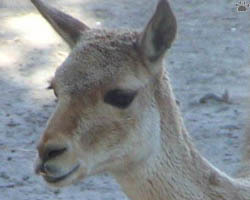 Vicuna (L. vicunia) is a small, slender, and very gentle animal. Llama, Cerros de Amotape, Peru. 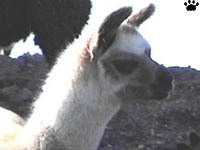 Alpacas usually live at higher elevations, and are mostly a source of wool. 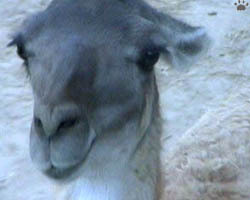 Recently, Peruvians started breeding vicunas, a wild species with even better wool, that lives at the highest plateaus. Lake Titikaka. 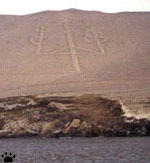 Lake Titikaka on the Altiplano is a large inland sea, inhabited by unique birds, fishes, deepwater frogs, and Uros people, believed to be one of the oldest tribes in the Americas. They live on man-made islands made of totora (tule - Scirpus californicus). They also make tule boats, similar to papyrus boats of Ancient Egypt, and to "caballitos" ("little horses") - small reed boats of coastal Peru, used by local fishermen for surfing and checking offshore nets. 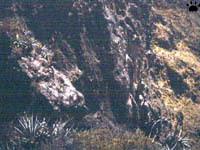 Track of mountain tapir (Tapirus pinchaquae), Lago Plata, Peru. Oystercatcher (Haematopus ater), Pan de Azucar. 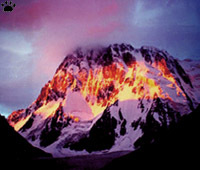 Puia Raimondi valley, Peru. The Altiplano is a cold, inhospitable place, where nights are always freezing, wind is merciless, and daytime heat alternates with sudden storms. Local roads are often very bad, hotels seldom have hot water, and air difficult to breath for visitors from the lowlands. But there are things that make travelling here worth the trouble: the colorful customs of the local people, the fascinating fora and fauna, the stunning views, and the brightest stars at night you'd ever see anywhere on this planet.